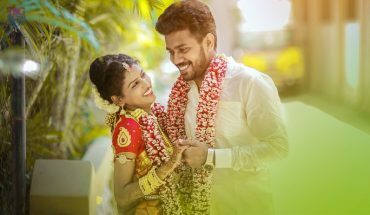 Savitha Devaraj Reddy’s wedding to Kishore Prakash Reddy that happened on the 18th and 19th of May, 2016 in Bangalore sounds like every perfectionist’s dream wedding. 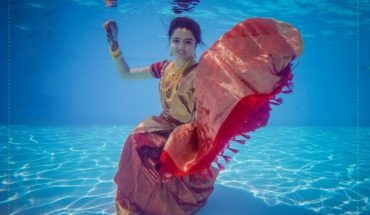 With all her family and friends rallying around her to give her the best possible bridal experience ever, Savitha’s wedding does not fall short of one of those fairytale weddings in a looming castle glowing with lanterns. Savitha launches into how she met her Prince Charming. “Kishore and I are both car lovers and so that’s how we met – at a car expo, through our mutual friends. We were friends for two years, and then we were in a relationship for two years. So we’d known each other for four years before we got married. Both of us are dead opposite to each other, and we know opposite poles attract!” she says. So followed the next logical step of planning out every detail of the perfect wedding. “I had around 5-6 months between my engagement and my wedding, so I had a lot of time to plan each aspect of the functions. Most definitely the organisation and calm planning helped avoid any kind of stress. My brother was my real strength throughout. When it came to the challenges and problems of wedding planning, I didn’t really get stressed out, because my brother handled everything. He delegated the work to the people in charge and took care of all the minute details to make sure nothing went wrong. He wanted everything to be perfect. My close friend was also a great encouragement to me. She was with me and assisted me in every stage of wedding planning,” says Savitha. A lot of family members pitched in to make Savitha feel like a princess. “With every element of my wedding, there was always someone very skilled and reliable to take care of it for me. My talented cousin is the one I owe most of my pretty bridal outfits to. She has great taste and experience. What was important to me was that I wanted to wear what was not yet in the market. So I told my cousin, and she helped me with the most cutting-edge, trendy outfits to wear. 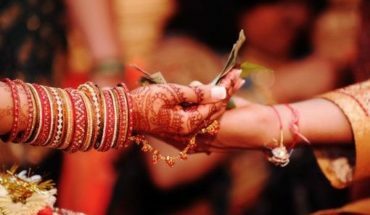 And as for my jewellery, my mother’s expertise in gold jewellery came in really handy during my wedding,” says Savitha. Savitha’s immaculate wedding will always stay crystal clear in her heart, but she also has some lovely pictures to show her grandchildren. “I’m also very thankful to my photographer for making beautiful memories of our special day. She always believed in the concept of ‘not taking the photograph, but making the photograph’. Her keen observation brings everything in our wedding to life again when we look at the pictures,” says the happy newly-wed.
Well, with reminders on two car plates, it won’t be easy to forget their wedding anniversary, would it?! Haha, joke. Who could forget such a beautiful wedding? Especially when it’s with the love of your life! So this is the story of Savitha & Kishore. Do you like this story? Tell us your views in the comment section. Do you have a story to share? Reach out to us on our email – tbgbridalstore@gmail.com and we will share it on our blog.